What Scientists Are Learning About Exercise and Your Brain – Kathy J. Marshack, Ph.D.
Do you exercise regularly? No doubt you’ve heard of all the benefits. Exercise is good for all kinds of things like lowering your risk of heart disease, helping you lose weight, and maintaining your overall health. It also helps you emotionally by releasing endorphins that help regulate your mood. Exercise also helps protect your memory and thinking ability. How? By literally changing your brain! Researchers have found that exercise can change the size of your brain. Regular exercise has been found to boost the size of the hippocampus, the area of the brain that plays an important role in memory and learning. It does this via a process called neurogenesis, or the birth of new brain cells. Exercise can double or triple the number of new cells in the hippocampus. These new cells translate to a significantly better ability to learn new things and remember experiences. A better memory and learning ability is beneficial for your life now, but it is also helpful over the long-term. In Alzheimer’s disease and other forms of dementia, the hippocampus is one of the first parts of the brain to suffer damage. A larger hippocampus can help delay the symptoms of these diseases as you get older. It is of note that research finds aerobic exercise to be the most beneficial form of exercise to boost the size of the hippocampus. This is exercise that gets your heart pumping, your blood flowing, and the sweat running. Resistance training and balance exercises did not produce the same results. Exercise also helps you sleep better. A number of chronic physical and mental health problems are caused by insufficient sleep, one of which is poor memory. Your brain cleans up while you sleep. There are studies that show that during sleep, the space between brain cells enlarge, allowing toxins to flush out. This research suggests that not sleeping allows toxins to build up, possibly ultimately triggering brain diseases like Alzheimer’s. Have you noticed that your thinking ability is negatively affected when you are feeling stressed or anxious? Exercise is a huge help in improving your mood, and reducing stress and anxiety. When your stress levels are under control, your cognitive abilities greatly improve. Hopefully you already have a healthy routine that incorporates regular exercise. The recommendation for exercise is 150 minutes of moderate exercise per week. That is just 30 minutes, 5 days a week. Moderate exercise includes walking, swimming, biking, or a sport like tennis. 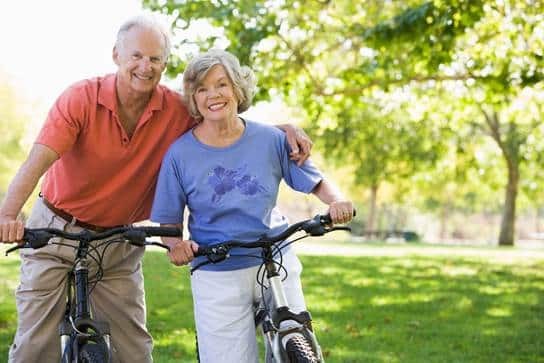 If you are having trouble motivating yourself to keep up an exercise routine, or even start one, then try getting your spouse or a friend involved. Ask them to go with you. It will hold you accountable and make the experience fun! Also, start small. Try a 20-minute walk around the neighborhood at first. Then add more time and distance. Schedule exercise like you would a business meeting. You don’t cancel on your colleagues or clients, so don’t cancel on yourself. Make it a priority, and your brain will benefit! Exercise is only one part of staying healthy and balanced. Make sure to sign-up for my newsletter, Enriching Your Life, to stay up-to-date on new findings that impact your health and wellness. Simply enter your information in the box on the left to start receiving your copy. Read more on my website: Holistic Health.